Well, we had all sorts of stuff packed into one our weekend, and I’d say that December is off to a great start! 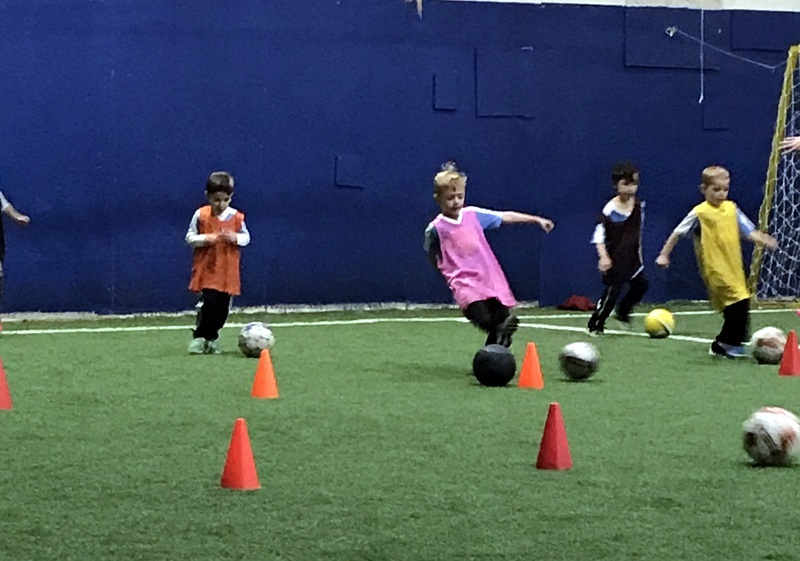 On Saturday morning, both of the boys began their winter sessions of indoor soccer. Lucas played a few sessions when he was younger (starting at only 18 months…omg, so LITTLE), but we unintentionally took a couple of years off. 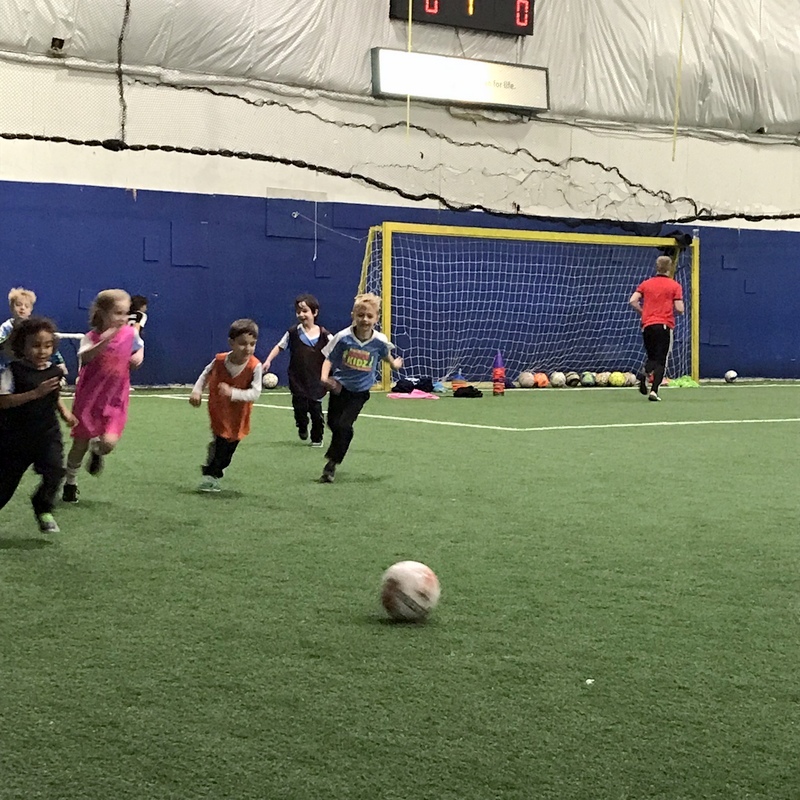 After playing soccer this past fall, Lucas was so excited to get back to it. I wouldn’t be surprised if this is a sport he sticks with, and that’s a-okay by me! 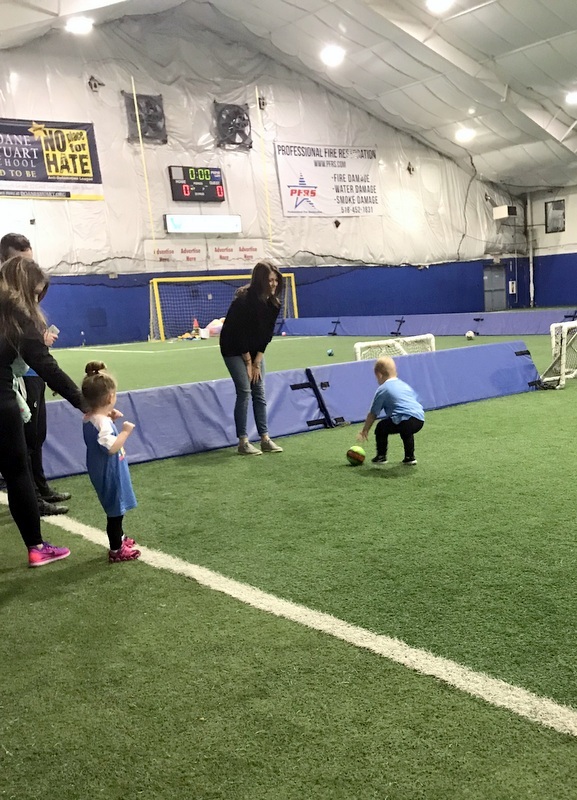 And for the first time, our little buddy Alex was able to play, too! He’s been saying “me too, soccer? 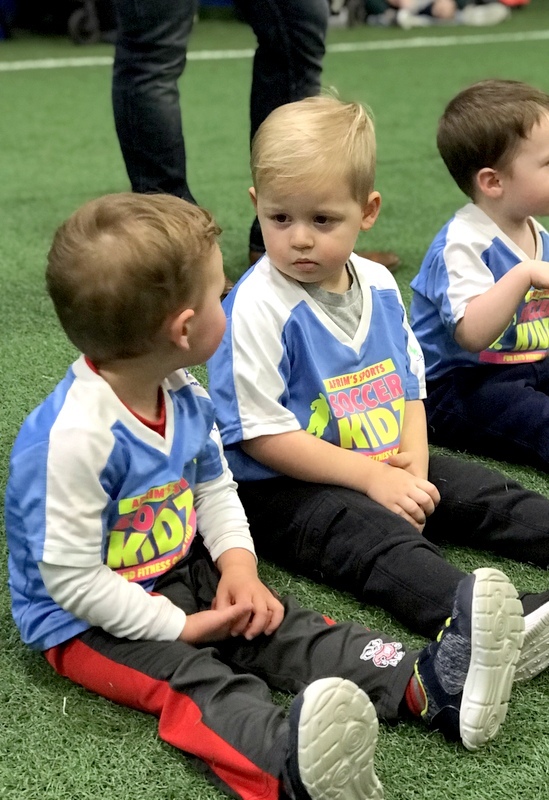 !” for months now, so I was excited for him to get to play, too. So it took some time to get him a little comfortable. 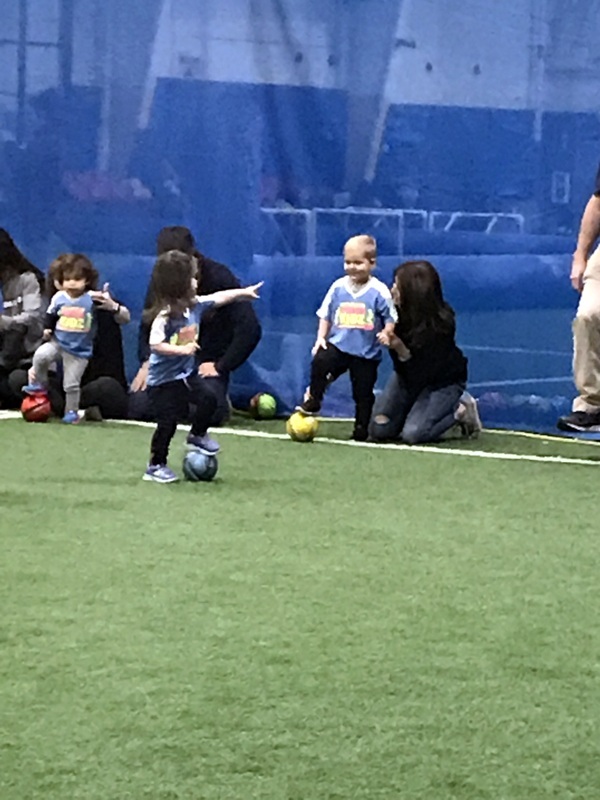 ; ) But in the end, he loved running around and kicking the ball, and is already talking about going back to soccer. So we’re calling it a win all around. And you can bet I most certainly was after them both with the hand sanitizer and hand wipes as soon as they were done! After our Saturday morning soccer, me, Jay and Alex hung back at home while Lucas’s fun continued with my parents for the afternoon. They brought him to the kids workshop at Home Depot, which was apparently all decked out for Christmas and they even had Santa. I was shocked when my mom sent me this picture! 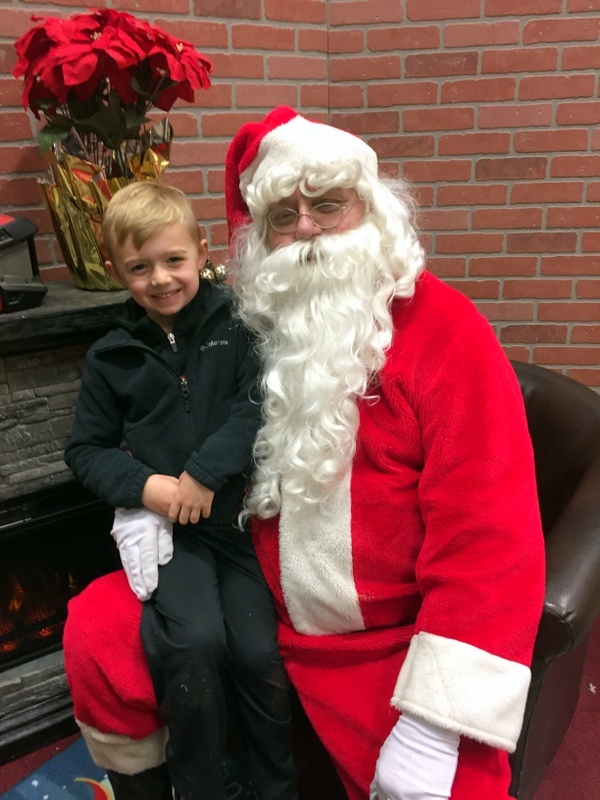 Look at that, my kiddo is growing up and can actually sit on Santa’s lap this year (!!!). 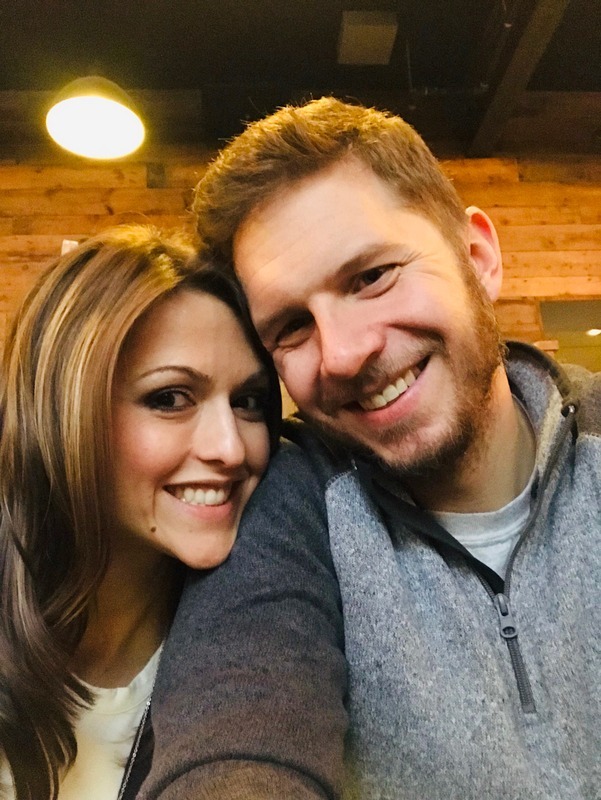 Later Saturday afternoon, my MIL came over to watch the boys for the evening so Jay and I could sneak out for a little date night dinner. 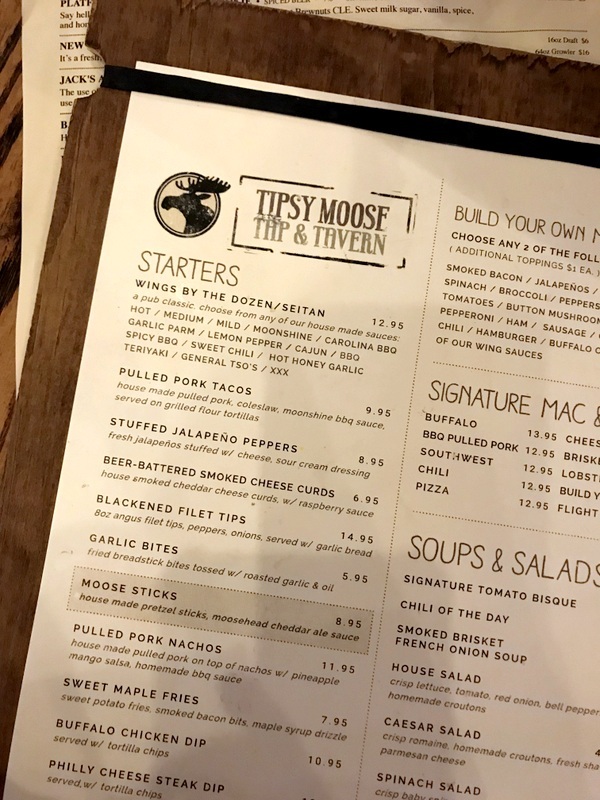 We left the house having no idea where we were even going, and we ended up at a new place right down the road from us called Tipsy Moose Tavern. 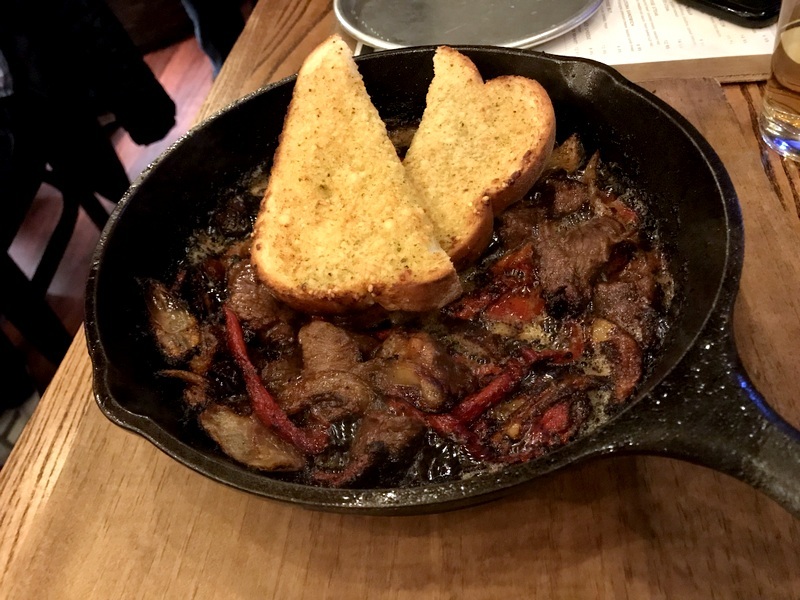 They have another location nearby that I’d been to once before with some girlfriends, but we were so pumped to see they opened another one less than 5 minutes away from us. We got there at the perfect time, only having to wait about five minutes for a table, which was huge since we’d heard wait times have been upwards of 2 hours since they opened (!). By the time we were leaving, the wait time was definitely longer…pays off to be the early birds I guess! 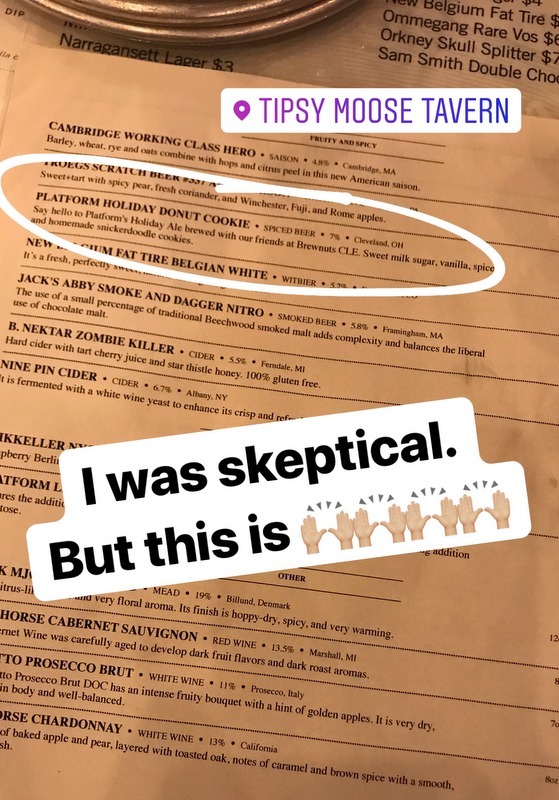 I was SUPER intrigued by this Holiday Donut Cookie beer on their list once we sat down, and had a feeling it might be sort of gross, but it sounded too good to not at least try a sample. Well, it was AMAZING. They may not photograph great, but they were out. of. this. world. Jay and I shared those and also got a couple of burgers for dinner, then wound up down the road for another drink while watching some college football at the bar. It was a super casual night out, but a night out nonetheless! 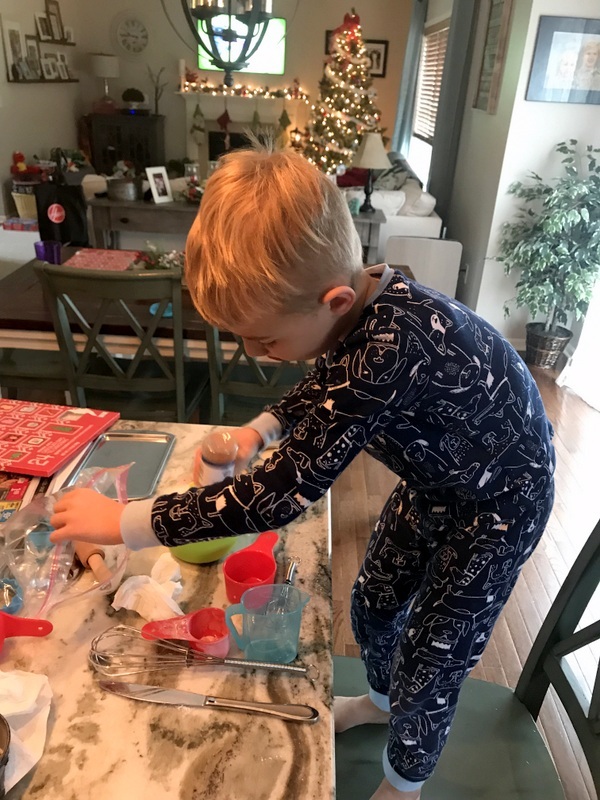 Sunday morning started with a workout for mom, followed by some baking with my buddy. 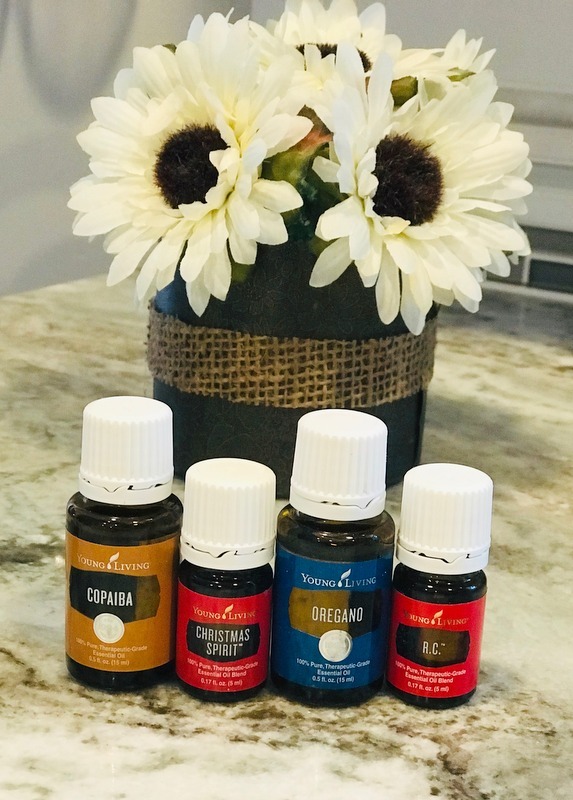 I also happened to get my latest delivery of new oils from Young Living over the weekend! 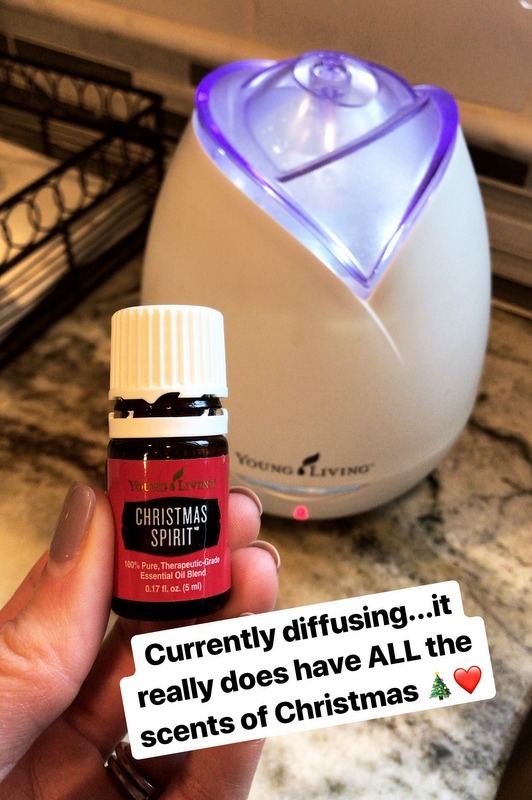 Let me tell you, that Christmas Spirit oil perfectly bottles up all of the fabulous scents we know and love from Christmas and I absolutely loved diffusing it yesterday. And it’s cheap, too! 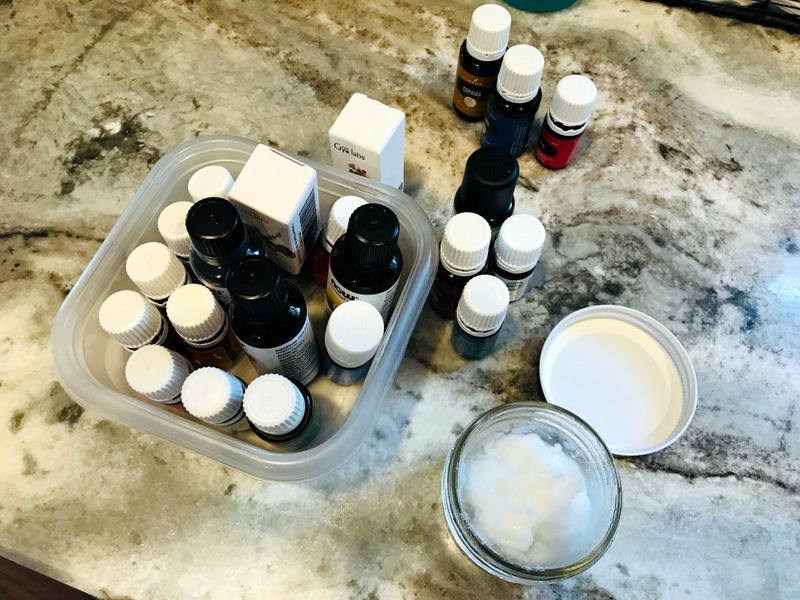 I also made a new chest rub (poor Alex came down with a little cough/cold…) and a couple of new rollerballs for the boys, too. 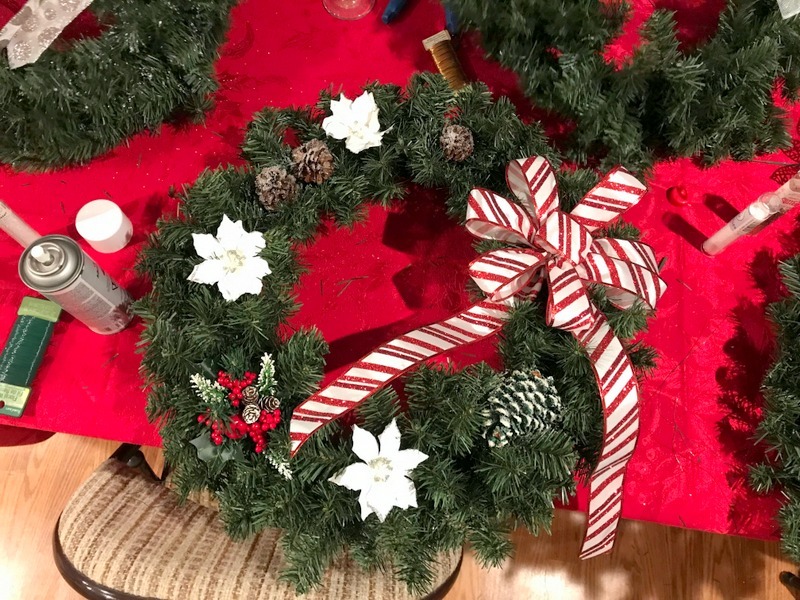 Then, to close out the weekend, I headed over to my parents’ house for a few hours on Sunday afternoon for a little “wreath & sip” get-together. 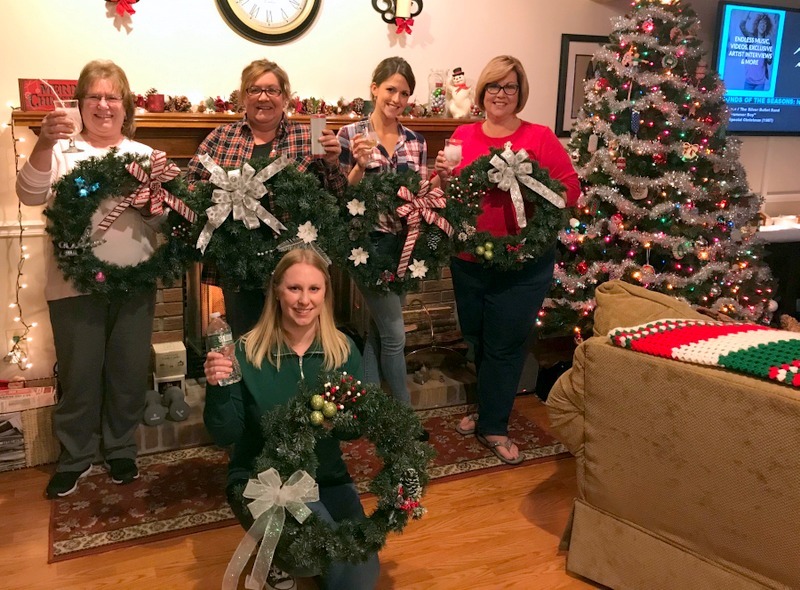 My mom had me and my brother’s girlfriend, Carissa, along with a couple of other women she works with come over and we all enjoyed some snacks and beverages while decorating our own wreaths. It was actually really fun decorating them, and I even wound up making the bow from scratch, too (with a little help). In the end, everyone’s ended up turning out great! And I was quite happy with how mine turned out in the end. Now I want to do more, ha! 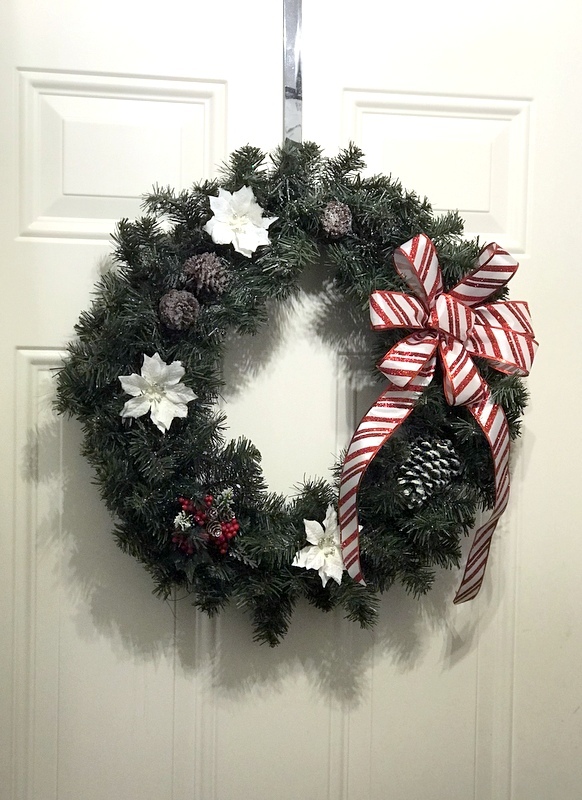 Your wreath looks terrific! Alex's expressions always give me a chuckle - you capture them beautifully! 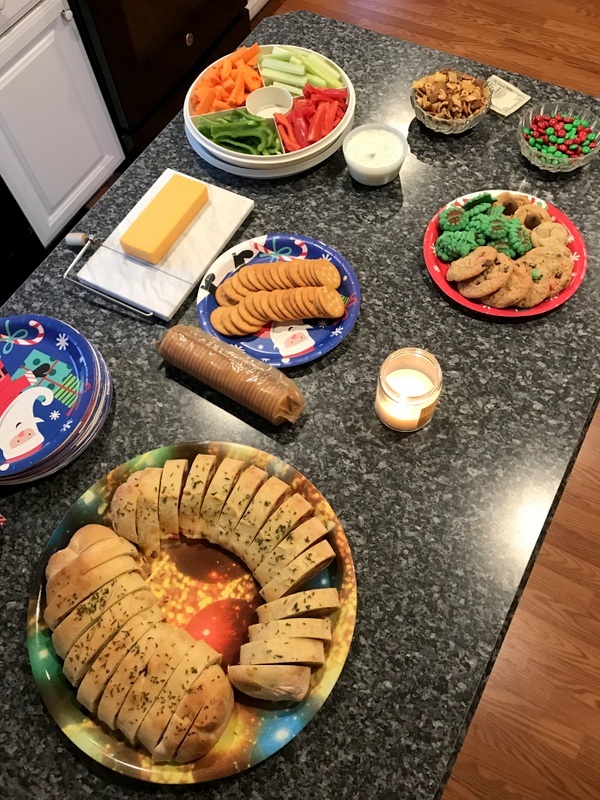 I love this wreath and sip idea! Definitely doing it next year! Feel free to post more on how you did it and the materials used! Yours looks great! Oh my gosh the wreaths look so cute! Great job! And what a unique holiday get-together idea! What a fun-filled weekend! You seem to have worked in some time for yourself too, which is so needed on weekends like this! Your little guys are so dang cute! And I don't even like beer, but that one you had sounds amazing! Haha! That Christmas Spirit oil just looks like it smells amazing. Christmas scents are the best! 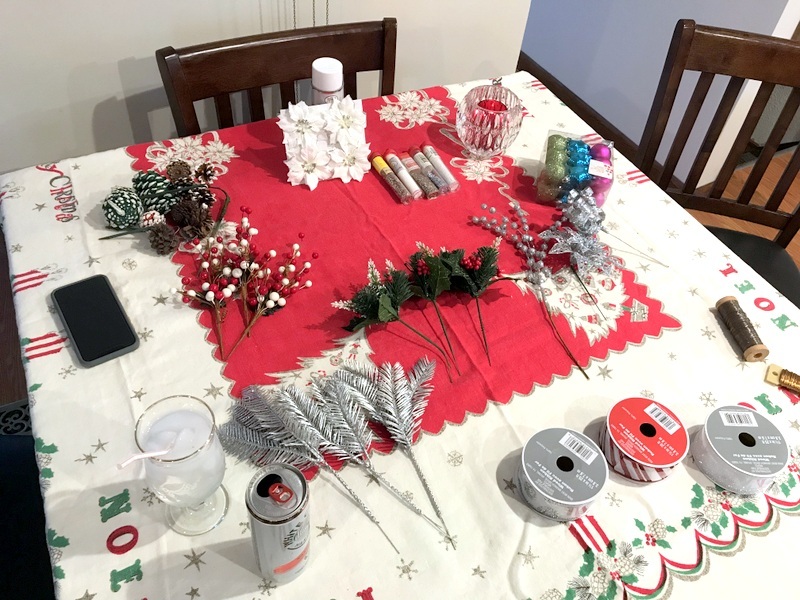 And I love your wreathe! What a fun little party!